City’s public health system is working on a $764 million Epic rollout and $289 million revenue cycle system. Kevin Lynch has been named chief information officer and senior vice president for NYC Health + Hospitals. 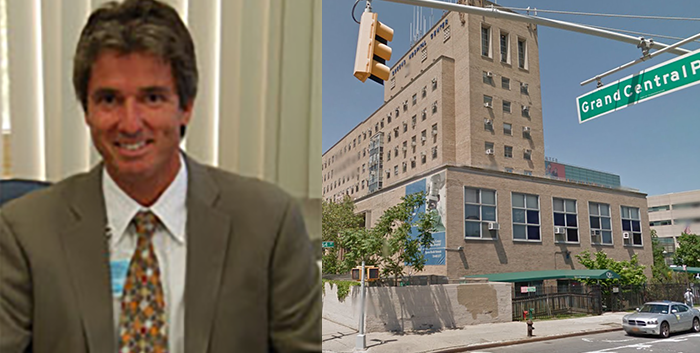 Lynch comes to the NYC health system – the largest public health system in the country – from Los Angeles County, which has the nation’s second-largest public health system. There, Lynch served as CIO for the Department of Health Services since 2010, where he also took additional responsibility at the county’s Department of Mental Health, Department of Public Health, and Integrated Correctional Health Services starting in July 2016. Lynch, who comes to the New York health system at the behest of Mitchell Katz, who is scheduled to take the helm at NYC Health + as president and CEO. Lynch, too, is scheduled to start his new stint in January. The two executives are stepping up after a couple years of turmoil for New York’s public health system. In March 2016, when NYC Health + Hospitals was poised to begin the rollout of an Epic System EHR, Charles Perry, MD, resigned from his CMIO post at Queens and Elmhurst Hospital Centers in New York, warning that the planned April 1, 2016, Epic EHR implementation could lead to patient harm, even death. Organization executives countered there was no cause for concern. By February 2017, health system executives reported the $764 million Epic project was on budget, and the next 'go live' date for implementation at their Coney Island facility was on schedule and several other locations were up and running too. The project had been scheduled to finish by the end of 2018, but now it is scheduled to hit the finish line in December 2020. In May 2017, the health system added a $289 million revenue cycle system to the Epic EHR project work. NYC Health + Hospitals operates the public hospitals and clinics in New York City. In Los Angeles, Lynch served as the CIO for the Department of Health Services since 2010, with expanded responsibilities for the county’s Department of Mental Health, Department of Public Health, and Integrated Correctional Health Services starting in July 2016. He has been a leader in healthcare information technology for 25 years. He served as corporate director at Jackson Health System, in Miami Dade County. The system is often ranked the third largest public health system in the country. In both of his most recent positions, Lynch oversaw the successful transformation from a fragmented clinical IT system to one rooted in enterprise-wide EHRs. Earlier in his career, he held leadership positions within the Tenet Health System, also in South Florida. “Kevin Lynch will bring a wealth of experience and compassion focused on recognizing our mission in delivering exceptional patient care,” NYC Health + Hospitals Acting Chair of the Board of Directors Gordon Campbell said in a statement.